Eddie Van Halen Sues To Stop Release Of 2006 Van Halen Rehersal Footage - Welcome To All That Shreds Magazine! 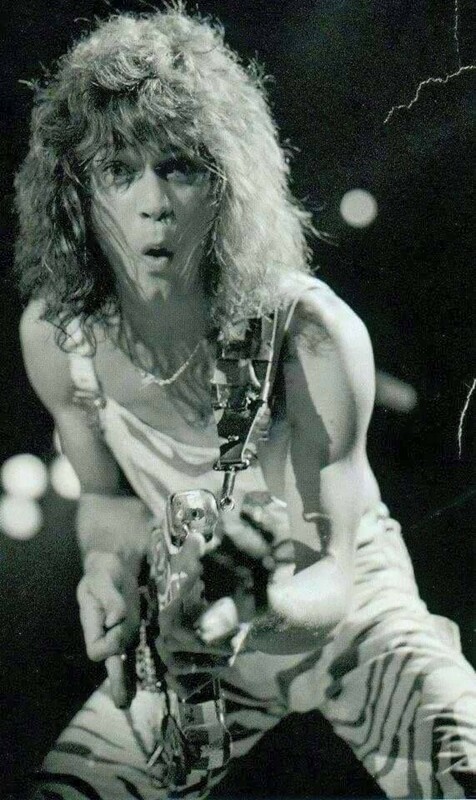 According to TMZ, Eddie Van Halen has filed a lawsuit against a videographer who was hired to film VAN HALEN rehearsals more than a decade ago for a possible “DVD or video project.” The guitarist claims the documentary was scrapped because he didn’t like the results, and he has accused Andrew Bennett of trying to sell the footage without permission. The material in question was shot during 2006 rehearsals featuring Eddie, his son Wolfgang Van Halen on bass and Alex Van Halen on drums, and was apparently created before VAN HALEN announced it was reuniting with the group’s original singer David Lee Roth for their first tour together in more than 20 years. In legal documents obtained by TMZ, Eddie says Bennett threatened to release the footage years later, claiming he never got paid. The guitarist said that he settled the matter with Bennett in 2015 and he acquired the rights to the footage as part of the agreement. However, according to the lawsuit, Bennett is now trying to sell the material and has released a trailer via his website 5150vault.com. Although Van Halen got the site suspended for copyright infringement, Bennett launched another one with a similar name which is linking to a preview video of the music rehearsals. Eddie is asking a judge to order the removal of the video, keep Bennett from selling or releasing the footage and damages. Earlier in the month, ex-VAN HALEN bassist Michael Anthony confirmed that a documentary about his former band was in production. Few details about the project are known at this time, including whether other past and current VAN HALEN members are participating in the film. 2018 marks the 40th anniversary of the release of the group’s groundbreaking self-titled debut album. Anthony joined VAN HALEN in 1974 and appeared on the band’s albums and tours through 2004 when he was removed from the lineup by Eddie Van Halen because he remained friendly with Sammy Hagar after the singer’s second stint in the band. The bassist joined the group’s ill-fated 2004 reunion trek with Hagar only after taking a pay cut and signing away his rights to any future use of the VAN HALEN name. Out of respect for the Van Halens, we didn’t post the link to the trailer for copyright reasons. You can find the trailer on YouTube unless it has been removed already. Next Next post: John 5 And The Creatures Release It’s Alive!